It’s easy to forget that carrots are actually roots, since we’re so used to seeing them packaged by themselves. But in order to grow, they need their lacy greens to soak up the sun above ground. And like most root vegetables, the greens are also edible. 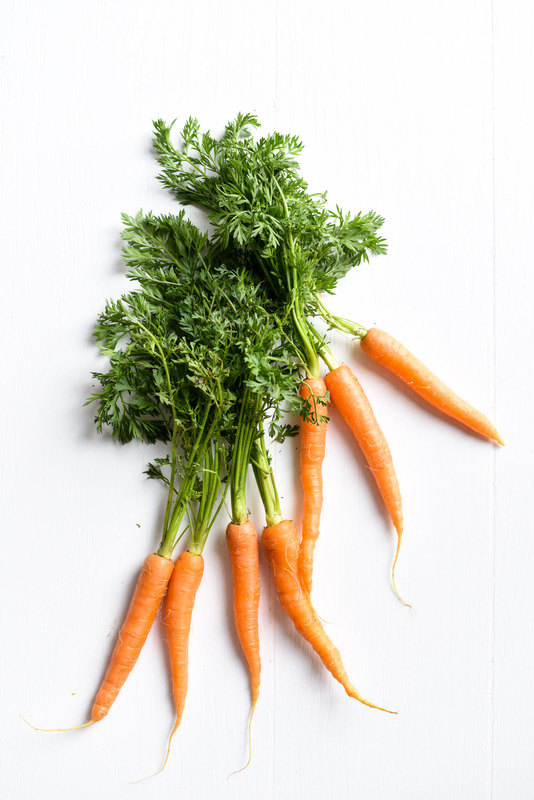 When eaten by themselves, carrot tops taste similar to parsley. Their herbaceous flavor and verdant color make them a lovely garnish or addition to soups or stir fries. 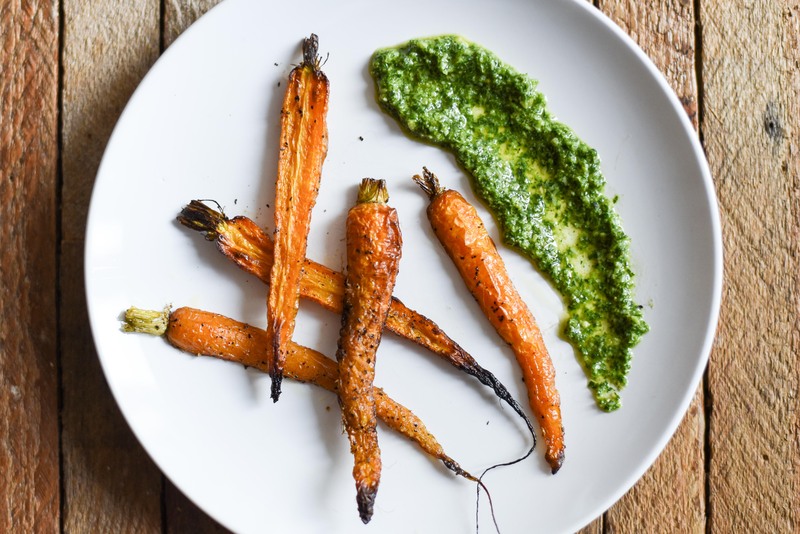 They also make a mean carrot top pesto, which you can use the same way you would use traditional basil pesto. A note of caution: wash your carrot tops very well! Carrots grow best in sandy soil, so the greens are often covered in grit that’s quite unpleasant to eat. 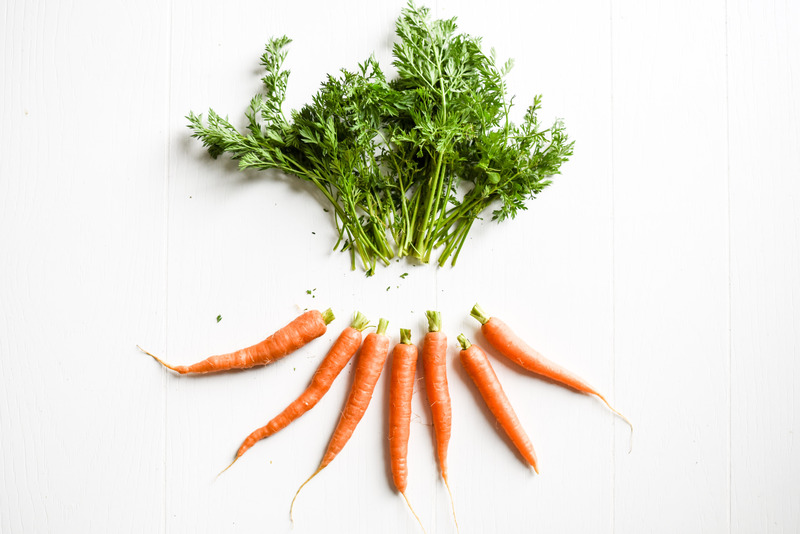 And another note: remove the carrot tops as soon as you get home from the store or market because the greens continue to draw nutrients from the roots after they’re harvested. Store the tops as you would other greens. Clean carrot tops well and discard large stems (I usually cut them off just below the leaves). In a food processor, pulse carrot tops, garlic, and lemon zest until greens are finely minced. With the processor running, slowly pour in olive oil and lemon juice. Scrape down sides of food processor, add cheese and pine nuts if using, then process until smooth. Season to taste with salt, and add more olive oil to thin to desired consistency if necessary. Store in an airtight container in the fridge, or freeze in an ice cube tray for easy-to-use portions. If you are omitting the cheese, you may want to decrease the amount of lemon juice. Swap pricey pine nuts for cashews or pecans. 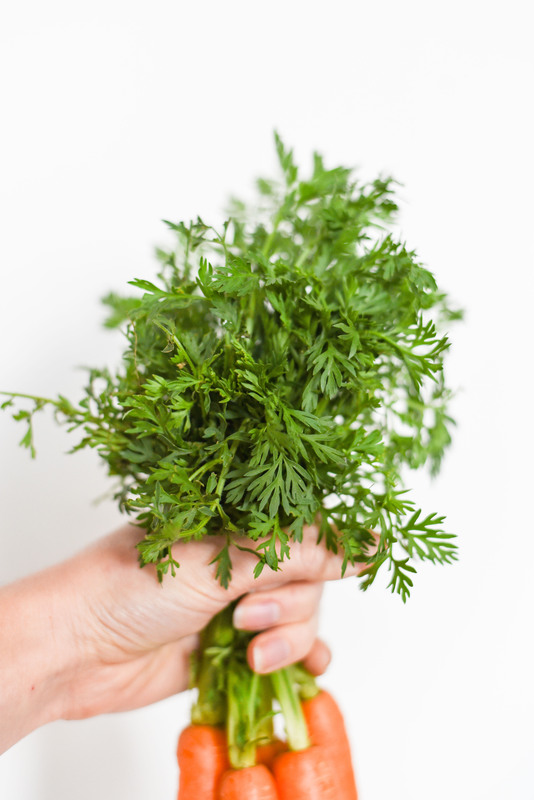 Mix and match herbs: substitute 1 cup of carrot tops for basil, parsley, cilantro, mint, arugula, or other fresh herbs you have on hand.